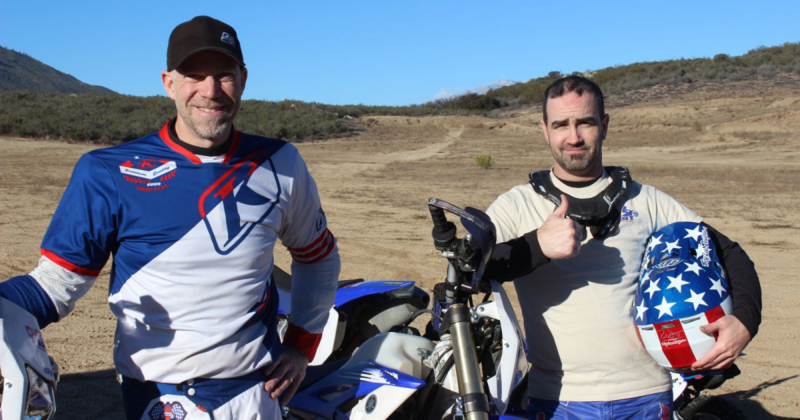 Jason Sherman and Whitney Koeberle have trained with MotoVentures to teach our Level 1 & 2 Dirt First Motorcycle Rider Training curricula in Washington State at a site near Seattle. Jason and Whitney are excellent riders, but even more importantly they are great instructors who can communicate and demonstrate our tried and true curriculum. They have a good training site, loaner bikes, and riding gear if you need them and their rates will be similar to what we charge here in SoCal. This winter they only offer training for certain groups or private lessons, but starting in February they will be available every weekend, weather permitting. So if you live in the Pacific Northwest and want our high-quality training that is now conveniently available in your area just call or email them at (844) 347-8347 or go to RideDBST.com.